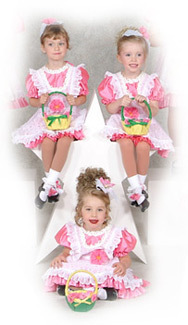 Mauri's structures a comprehensive dance curriculum based on levels of ability. As students gain skills, they move further up on the 8 level scale. This incremental approach ensures students will be motivated the most by their own achievements and discernible progress as they find improvement in their muscle control, flexibility, musical intuition and self confidence. At the same time, students are allowed to set their own pace. Levels are not age specific and it's never too late to get started. It is my belief that a strong preschool program is a necessity. It is during this part of a dancers education that the foundation is laid for more advanced work. To achieve that goal, class size is limited and two instructors are in every class of sixteen. Each student's rhythmic, gross motor, sequencing and listening skills will be strengthened as well as their knowledge of dance terms, music awareness and FUN. Positive reinforcement, constant encouragement and guidance will be given to all students. It is my hope that each student has an enjoyable experience in dance while developing a sense of confidence, discipline and achievement. 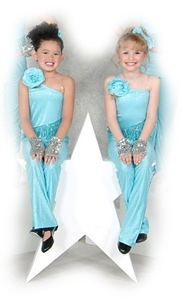 Level 1 dancers will develop their own personality along with good posture, poise and grace. They will learn the meaning of rhythm, learn to listen to music and learn to accept discipline. The basic techniques and terminology will be introduced. Constant encouragement and guidance will be given to all students. Mistakes are okay! FUN is a must! Level 2 is for dancers who have studied, if not yet completely mastered the basics. There will be a familiarity with basic terminology, understanding of correct body placement, balance and general ease in performing elementary techniques. At Level 3 the student becomes aware of the astounding amount of technical terms. The variety of exercises, combinations and ways to put together the basics. Different levels of speed and transitions are extremely important at this level. Formation and spacing begins. Trick steps begin. Dancing together at the same time happens more often. Classes in Levels 1, 2 and 3 provide opportunities for exercise, stretching and toning of the body and an appreciation of dance as an art form in a noncompetitive atmosphere. The Level 4 dancer is becoming fluid. Jumps get higher, extension, strength and a total understanding of body placement is taking place. Understanding the use of space, formations and musicality takes hold. Terms, turns and more combinations. Confidence and showmanship enter into the equation. The Level 5 dancer picks up and retains the terminology faster. Arms, head, torso and feet all work together. Placement becomes extremely important. Speed steps up a notch. The ability to recognize and understand placement mistakes and the ability to correct them becomes automatic. Double pirouettes are conquered. At Levels 6, 7 and 8 dancers become stronger, more flexible and faster. Triple pirouettes become the norm. The body takes over and movement is an automatic reflex. As students gain strength, technique and flexibility, class length is increased and more difficult patterns are introduced. Classes in Levels 4, 5, 6, 7 and 8 are offered in competitive and noncompetitive atmospheres. All levels do technical warm-ups and conditioning appropriate for their age level.